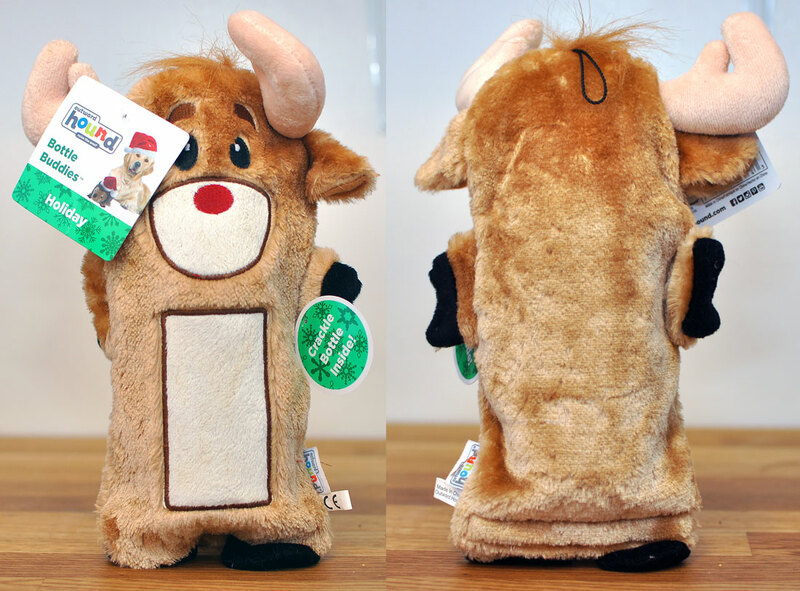 Henry loves things that squeak and crinkle, and I love a little holiday cheer, so this toy is a match made in heaven. Hopefully Henry won’t keep me up all Christmas Eve with all the fun he’ll be having! If you read our November PawPals With Annie! 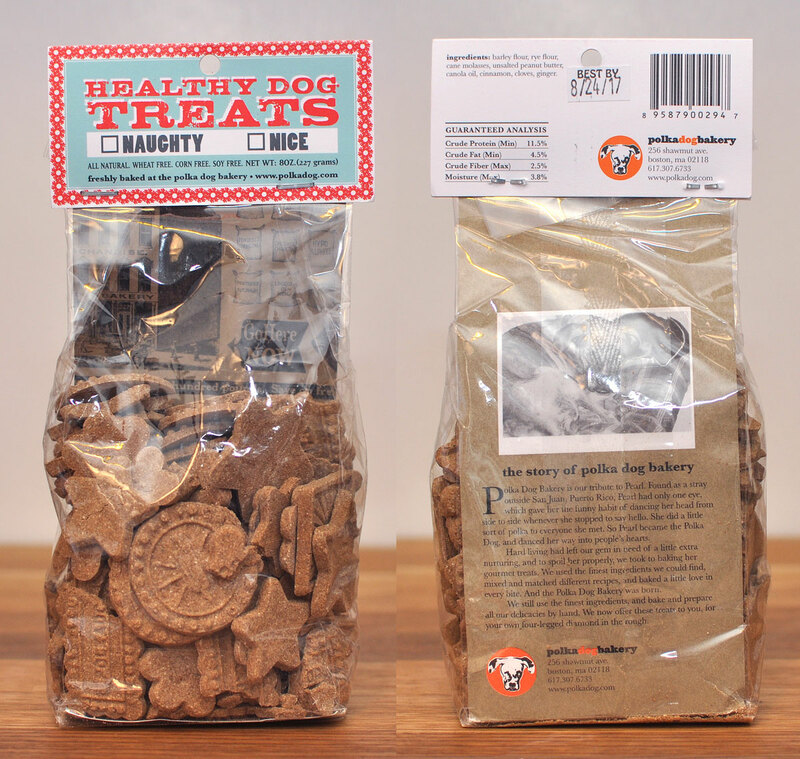 review, you might have an idea how excited I am to receive more treats from Boston’s Polka Dog Bakery. These treats are wheat, corn, and soy-free and are made without preservatives or additives. I love supporting small businesses, and I love New England, so this is a match made in heaven. Only one question remains: has Henry been Naughty or Nice? 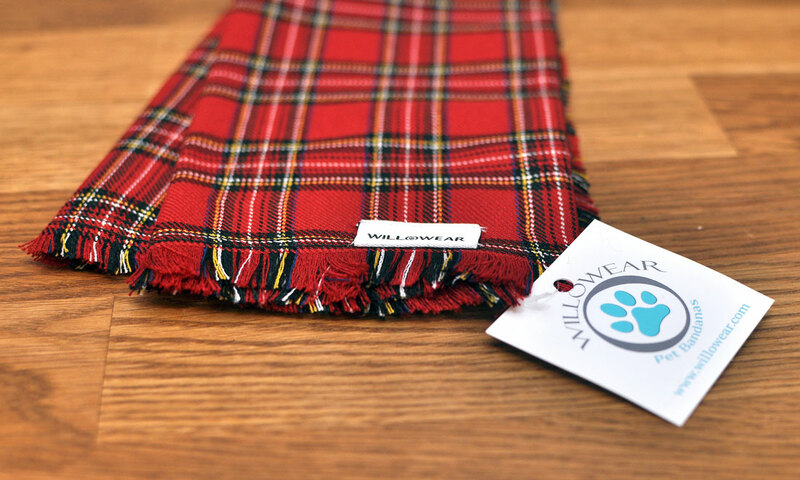 If you’ve read our November or June PawPals With Annie reviews, you’ll know that we LOVE Willowear Bandanas! I’ve never been disappointed, and literally squeal when I discover one in my bag. Like the others we’re received, this Willowear bandana is well-made, the perfect size for Henry, and a gorgeous pattern. I love the fringe as well! Nothing like a good tug! This rope will be great for a bout of tug-of-war, or for Henry’s favorite pastime of shaking and tossing his toys. Plus, the package claims that this toy is great for dental health! We love when subscription boxes come with chews! Henry loves a good bully stick or trachea, so I know he’s absolutely thrilled that this trachea chew came in our newest shipment. Chewing is good for mental stimulation, dental health, and for keeping Henry busy while I wrap presents! 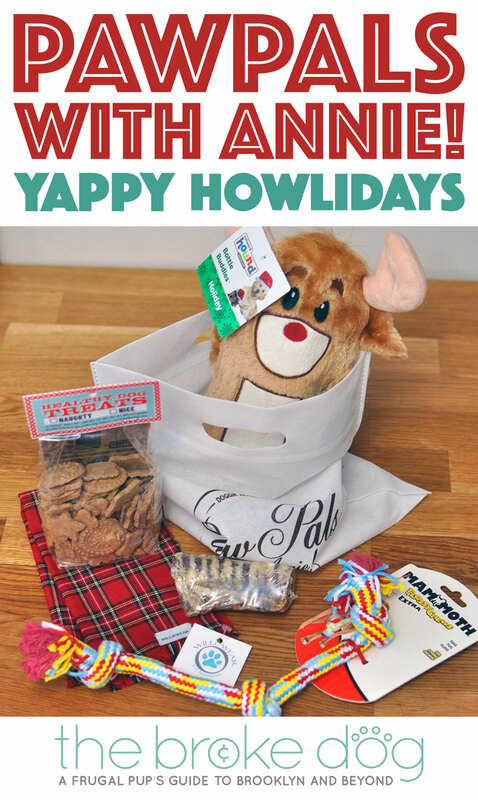 This month’s PawPal’s bag is both festive and stuffed with great products for your pup. 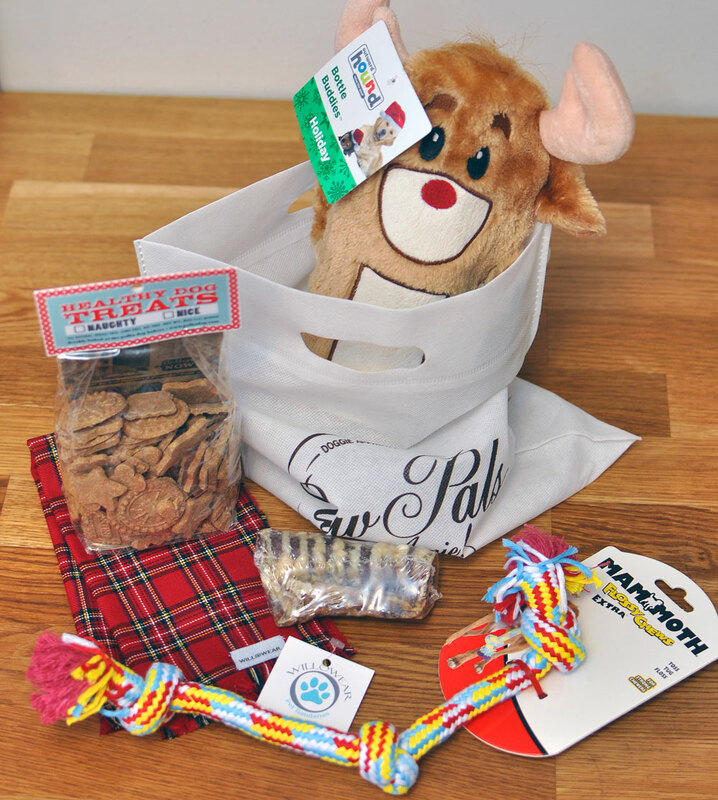 I was thrilled that this month came with a chew – a first in our PawPals experience! The treats and reindeer toy are wonderful, as usual, but the standout item for me is the Willowear bandana. At $20.00 for the bandana alone, this box is a great deal at $40 and you can save 20% off that by using code BROKEDOG. Thank you, PawPals With Annie!, for helping Henry and I get in the holiday spirit! This bag looks awesome! Tonks would be ALL OVER that crinkle bottle. Oh i just loveee the bottle buddies, it looks co cute. I think this is a great toy for dogs also. The whole set looks so nice. Thank you for the review i’m definitely going to check out the producer’s website to find more great deals like this.